Check out the newly added HK MP5, MP5K, & SP5K side folding pistol stabilizing braces we offer on our website! 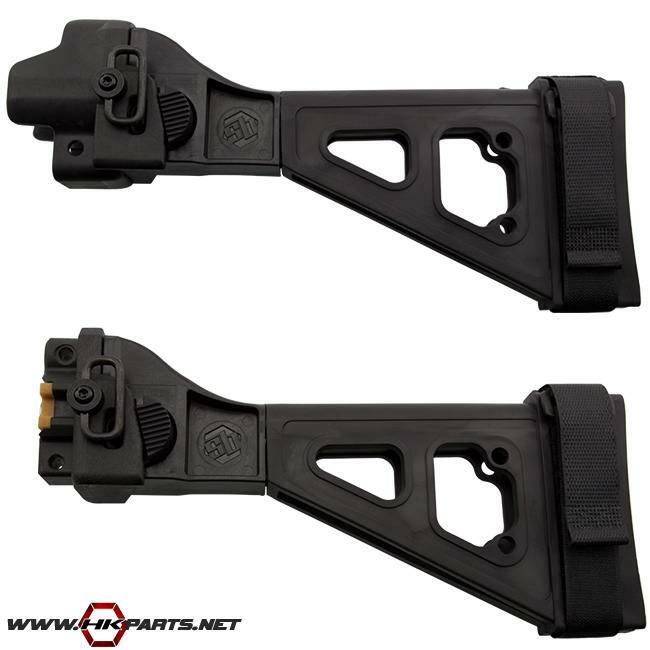 These pistol arm braces are shooters aids that are designed to improve the single-handed shooting performance of the HK MP5, MP5K, SP89 & SP5K or other roller locked style firearms. These veteran-designed, U.S. manufactured braces enhance accuracy and reduces felt recoil when used properly. Made from high-quality, elasto-polymer, these side folding braces are manufactured to HK/B&T tolerances.